Does is seem like telemarketing calls have gotten out of hand? Do you find that your phone is frequently ringing, but you dread the sound because it’s more likely to be a telemarketer than someone you know? Let’s take a look at the current state of telemarketing and what you can do about it. You’re not alone in experiencing an onslaught of telemarketing calls. Because of today’s technology, it’s easy and cheap for spammers to use automated dialers to call every single telephone number, and then when they reach a person, low-cost overseas labor makes it cheap to follow up on the initial pitch. The numbers reinforce that this is a significant issue — in one month, there are about 2.7 billion robocalls placed in the United States, which averages out to about 8.5 calls per person. Can the “Do Not Call List” Help? There are currently about 226 million phone numbers registered on the Do Not Call list, and annually, about 7.2 million complaints are filed with the the Federal Trade Commission (FTC) about unwanted telemarketers. The FTC does take action against some complaints, including one case in March 2018 where they went after Alliance Security for placing millions of calls to people who were on the National Do Not Call registry. Yet even as companies face charges for illegal telemarketing calls, many more companies continue to use these overreaching sales tactics. The FTC noted in their most recent report that it’s easier than ever for spammers to hide their true identity and location. At Ooma, we appreciate clever innovations, and so we can’t help but grin at off-the-wall responses to telemarketers. One Los Angeles man devised an automated answering service to waste the time of telemarketers with recorded auto-replies such as “yeah,” “sure,” “okay” and “yes.” Wasting two minutes or more of each telemarketer’s time, his system takes a similar approach to comedian James Veitch’s side project of replying to spam emails. The theory is that if a bot is wasting a telemarketer’s time, the number of people they can hassle decreases. Although these are witty responses to the ongoing problem of telemarketers and spammers, they don’t actually stop your phone from ringing. Actually blocking unwanted calls is a problem that Ooma can help you solve. We know that not all telephone situations are the same. So Ooma Premier customers have access to five different call blocking components to use independently or together. Known Spammer Call Blocking: Ooma’s proprietary list contains thousands of phone numbers that have been identified as known sources of spam. Suspected Spammer Call Blocking: With more than 800,000 phone numbers, suspected spammers have been tagged by the NoMoRobo third-party database as known nuisances. Anonymous Call Blocking: Many telemarketers place their calls anonymously to bypass call blocking systems. So our anonymous call blocking feature gives you the option to block these anonymous calls too. Custom Call Blocking: This is your personal blacklisting feature that lets you block any phone number that you don’t want to hear from. Contacts-Only Calling: This is the highest level of call restrictions where the only calls you receive will be from numbers that are on your call list. 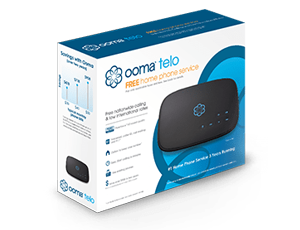 Ooma blocks more than 1 million spam phone calls each month. Additionally, Ooma’s community and technicians jointly work to make our call blocking system as comprehensive as possible. Here’s how it works. When an Ooma user blocks and reports a spam caller, our technicians are alerted. If the number is confirmed to be a source of spam, it’s then added to our Known Spammer lists. Spam callers are actively changing how they reach you, and so call blocking systems must also be active in stopping these unwanted calls. For sure, spam calls are a nuisance, but when spam calls are part of phone scams, seniors or unsuspecting people can be swindled out of their savings accounts. Because seniors are often a target of these phone scams, some Ooma users who know about our extensive call blocking program have set up Ooma phone service for their elderly relatives to help protect them from these pervasive scams. 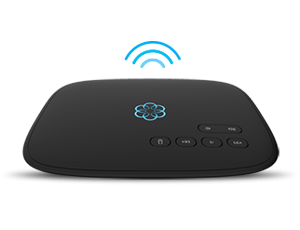 Ooma Premier VoIP home phone service costs just $9.99 per month plus applicable taxes and fees for unlimited calls within the U.S., Canada, Puerto Rico, and Mexico. Learn more about all 35+ advanced calling features, including call blocking to help you stop spam calls before the phone rings.